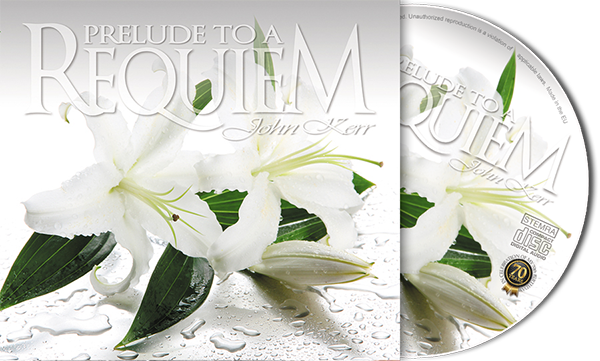 John's latest CD is called "Prelude to a Requiem". I felt it was time to try something different which resulted in a sort of “putting the cart before the horse” project which I call “Prelude to a Requiem”. I created my own inspiration for the music by designing the graphics for the production long before I started composing the music. Maybe for most people a rather strange way of doing things but then again, I have never been what most people would call ‘normal’. With “Prelude to a Requiem” I have realized a dream. 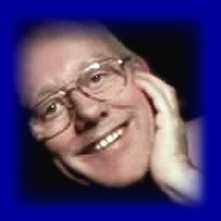 My love of the piano, the human voice and classical choirs seem to have reached a new level thanks to my discovery of virtual (software) instruments and to quote someone’s reaction after listening to an early proof-mix: “It has added a brand new dimension to John’s musical style and for those who love his previous works. ”Prelude to a Requiem” will truly amaze them“. Creating this album was certainly extremely challenging but a great deal of fun! 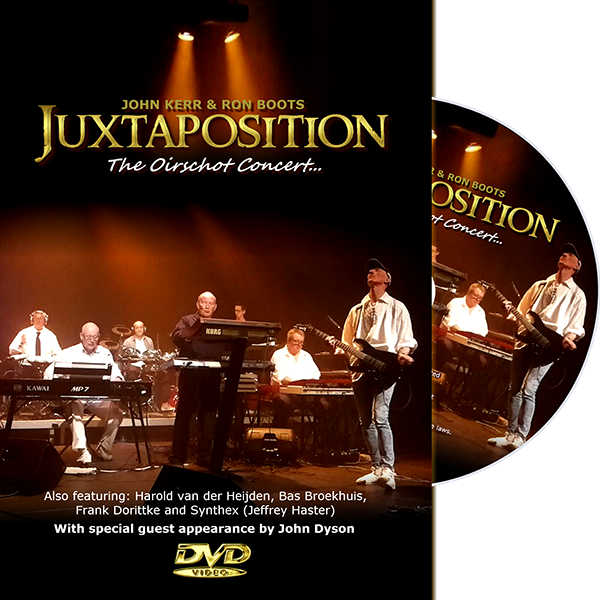 Release of the John Kerr & Ron Boots "JUXTAPOSITION - The Oirschot Concert..."
The DVD registration of "JUXTAPOSITION - The Oirschot Concert...". 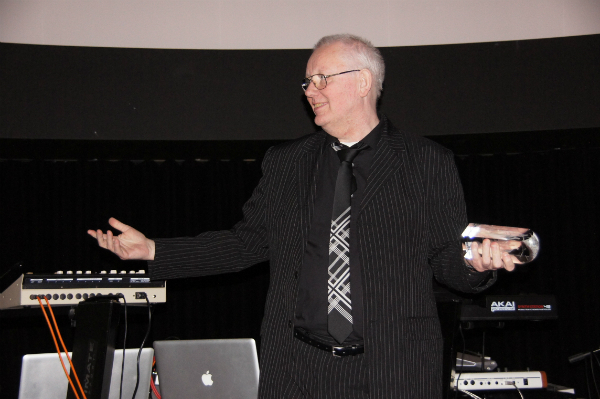 John Kerr & Ron Boots performing live at the E-Day Electronic Music Festval at the Rabo Theatre 'De Enck' in Oirschot, The Netherlands on 16th April 2016 A two hour registration of the complete concert featuring: John Kerr (Grand Piano and Synthesizers), Ron Boots (Synthesizers and Sounddesk), Harold van der Heijden (Acoustic Drums and Percussion), Bas Broekhuis (Drums and Percussion), Frank Dorttike (Electric Guitars), Jeffrey Haster / Synthex (Synthesizers) and with a special guest appearance of John Dyson (Synthesizers). 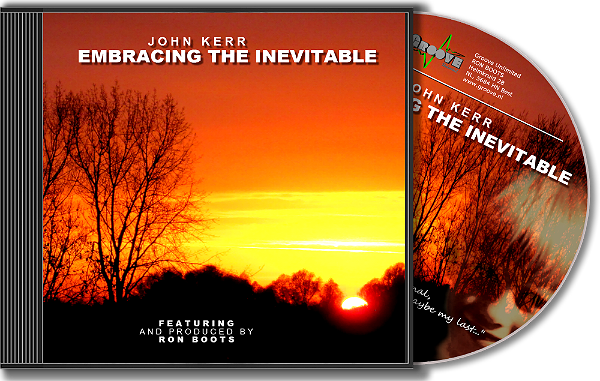 Unexpectedly, a brand new John Kerr album called "Embracing the Inevitable". A new solo John Kerr album was for me also unexpected! And to be honest, I am extremely proud of the result. It's... well how can I put it? Not really live, but a kind of 'live-in-the-studio' album. 100% electronic, nevertheless sounding "pure John Kerr" (most of the time). Sometimes improvised, sometimes not. Sometimes I played with tears rolling down my cheeks and sometimes with a huge grin on my face! 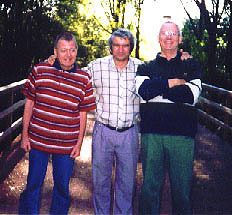 Featuring, produced and mastered by Ron Boots, a name that guarantees that it will sound magnificent - and it does, although I say it myself! John's CD Shop is closed but his music is still available! 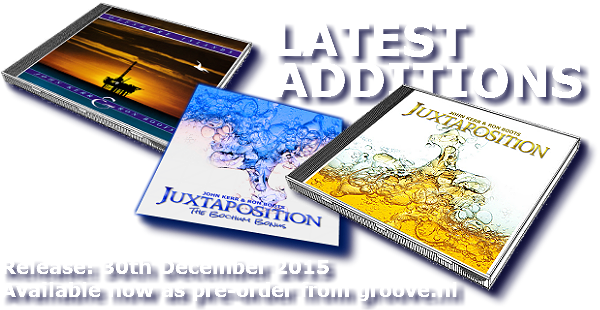 You can now order John's music at Groove Unlimited via the CD SHOP button on the left! The Bochum Concert is SOLD OUT! (Germany) for my "Lifetime Achievement"
Believe it or not I found some more copies of my CD "Out of the Blue"... It's back in the shop!! My OLD guestbook is viewable again! Thanks to a tip from R. Gunther it is now possible to view my OLD guestbook again! It is not possible to add a message in this old guestbook. If you want to leave a message, please use the functioning guestbook using the link button on the left. I gave the website a facelift! I've been learning CSS. Those of you who create, design and maintain websites will know what I mean. Also I have been chatting up the BUMA/STEMRA about contracts regarding music-use on own websites... I'm now 100% legal (a wonderful feeling when you're 60, he said sarcastically)! Busy, busy, busy! 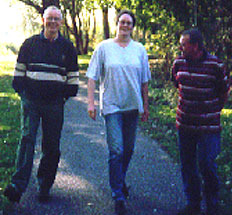 A walk in the park with Steffen and Birgit.